Remainers and Leavers in the Cabinet are set for a showdown this week over the UK's continued membership of the Custom's Union as it leaves the European Union. On one side for the people of the UK are Boris Johnson and Michael Gove while fighting for Europe is Amber Rudd and Philip Hammond. Theresa May has been out of the country and will return from her trip to China stuck in the middle of a crisis and it is not know what side she will come down on. Her position continues to look increasingly weak with talk in the lobbies of Westminster of a senior Remain cabinet minister set to resign over her handling of Brexit and an increasingly fragmented party. Reports in all of the main broadsheet papers suggest that the Remainers think that by staying in the Customs Union it will mitigate the loss of trade to the EU and ensure no hard border exists with Ireland. The Leavers want Britain to leave the Customs Union so that we can be bold and strike new global trade deals. 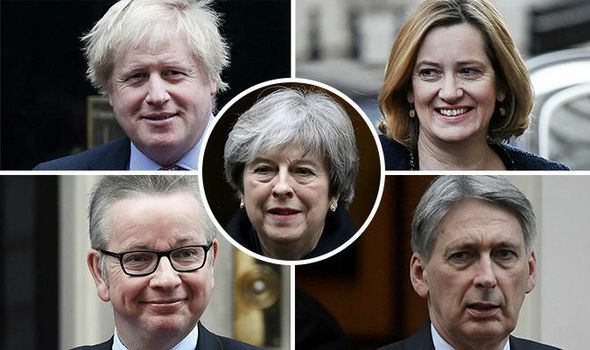 Theresa May finds herself in an increasingly difficult position with such major rifts within the cabinet and whatever side she takes will result in even greater turmoil within the Conservative party. Agree we should Leave the EU and all its institutions? Sign here now!